The market lights are up over the cocktail/dining area outside the barn! Sunrise at The Highlands Estate. Happy Monday everyone! Always an exciting time of year when a lot of hard work comes to fruition! Here are some pictures from this years harvest! Our Barn Wedding Site is now Open! Our Barn Wedding Site is now Open! To celebrate we had and open house, showing off our newly renovated heated and air-conditioned barn and beautiful vistas from our wedding site. Local Yorkville Highlands appellation wines were served from Maple Creek Winery, Meyer Family Cellars, Route 128 Winery, Theopolis Winery and Yorkville Cellars with appetizers from KR Catering and sweets from Moustache Baked Goods! Venn Floral provided splashes of color and fragrances with their beautiful floral designs. A big thank you to all our friends, neighbors and vendors for making this such a successful event! As harvest grows near, we're closely monitoring the sugar or "brix" content of our Syrah grapes. The photo is from our refractometer and shows the brix at about 17.5%. 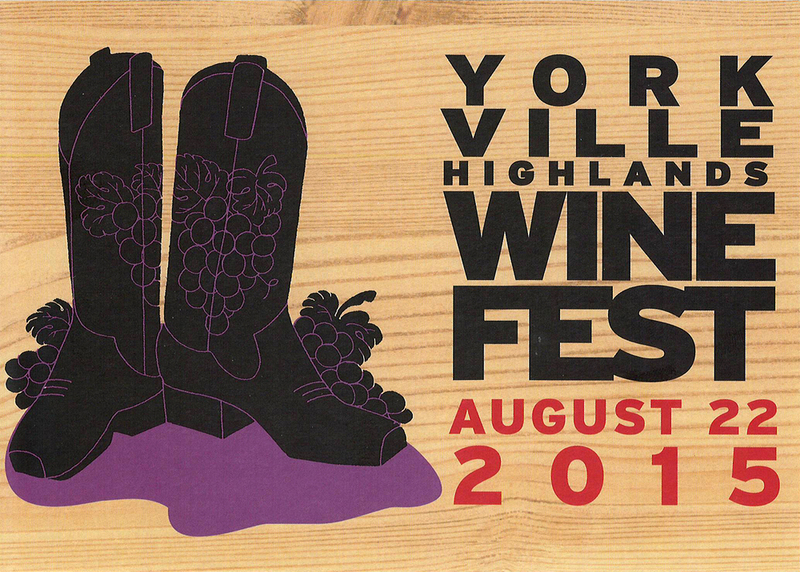 The Yorkville Highlands Wine Fest is less than two weeks away - Saturday, Aug 22! Reserve your tickets today (kids under 10 are Free)! Taste over 60 local wines, enjoy scrumptious local cuisine, watch or join the riotous grape stomp and more - fun for the whole family. Not long before it's harvest time! 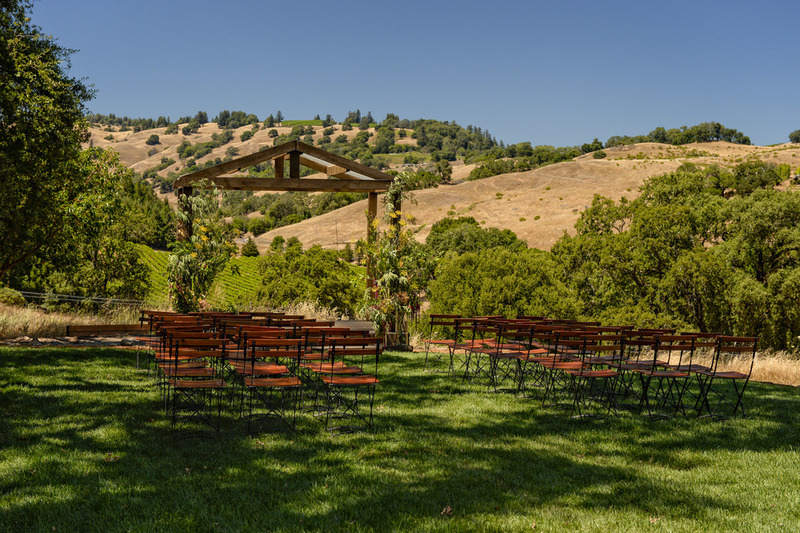 Here's a new photo from our our vineyard wedding site! Click to see our complete gallery! Photo of the week: morning mist and Oak trees in the lower meadow. These plum trees on the upper driveway only bloom for a few short weeks, and that time is right now! Photo of the week: could this be Spring in February? Our plumb trees seem to think so! A beautiful morning overlooking our vineyard and out to the hills of the Yorkville Highlands valley!